Overview shot of the crowd. 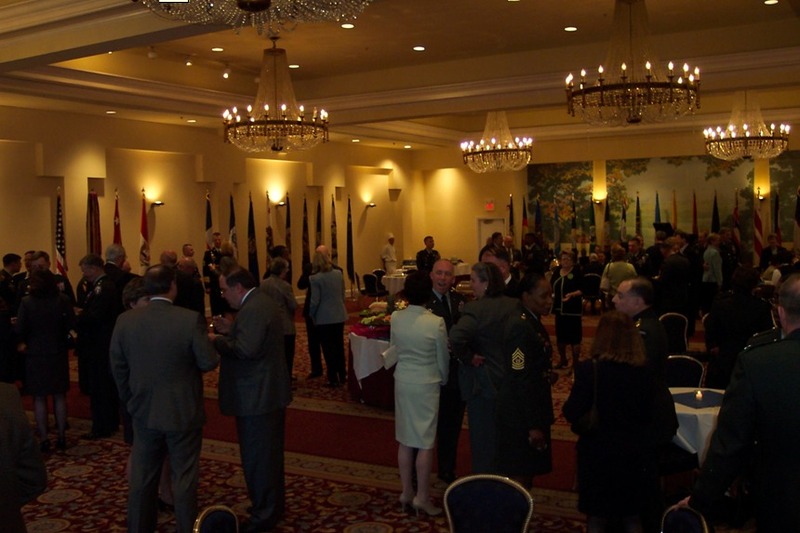 This reception was held in the Officers Club on Ft Myers Army base. 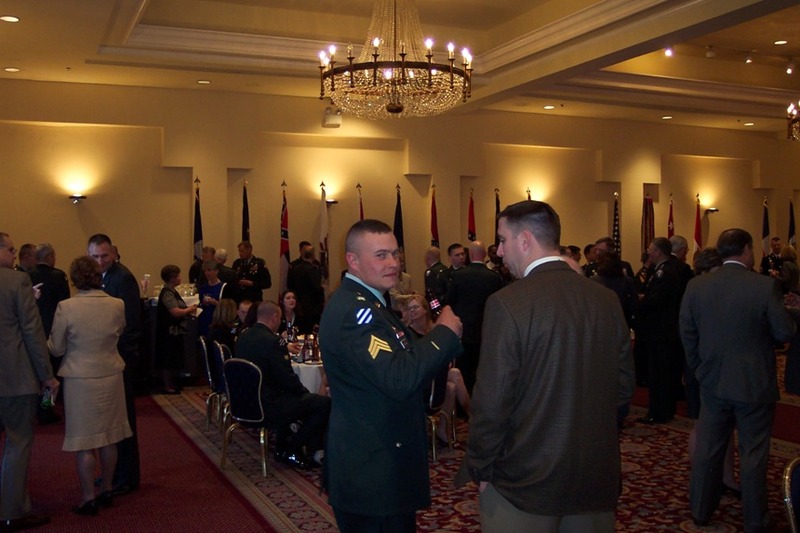 Sergeant Louis Berwald talking to Steve. 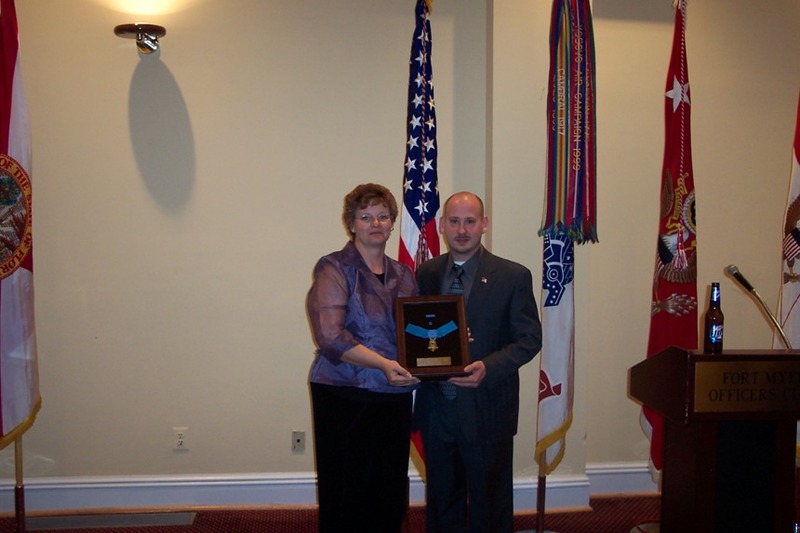 Sgt Berwald was raking the Iraqi tower with 50 caliber machine fire from atop his armored personnel carrier when it was hit with a mortar injuring his face, shoulder, and hand. His enormous brass balls however, remained unharmed. 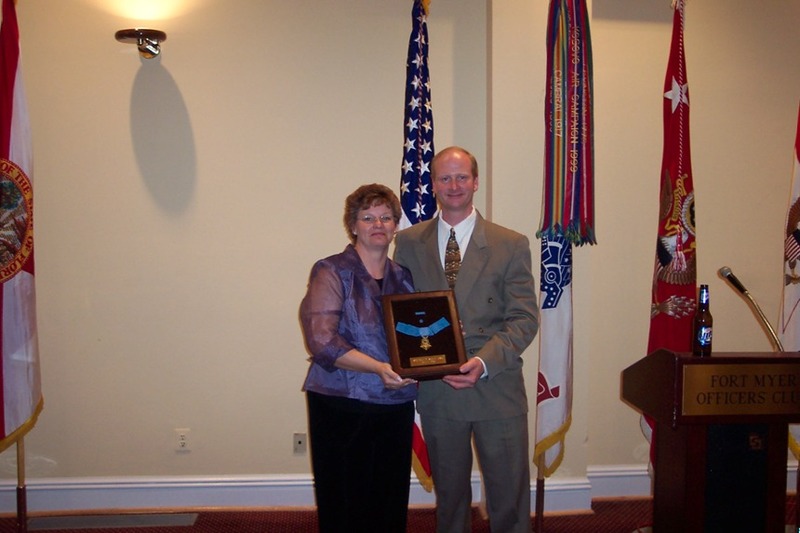 Me standing with Mrs Birgit Smith and the Medal of Honor. I'd also like to take this opportunity to thank Steve for letting me know I loosened up my tie and that perhaps I should slide it back up before taking any important photographs. NOT! Birgit with her brother-in-law (in-law) Brad doing the same! Behold, two soldiers who epitomize professionalism. 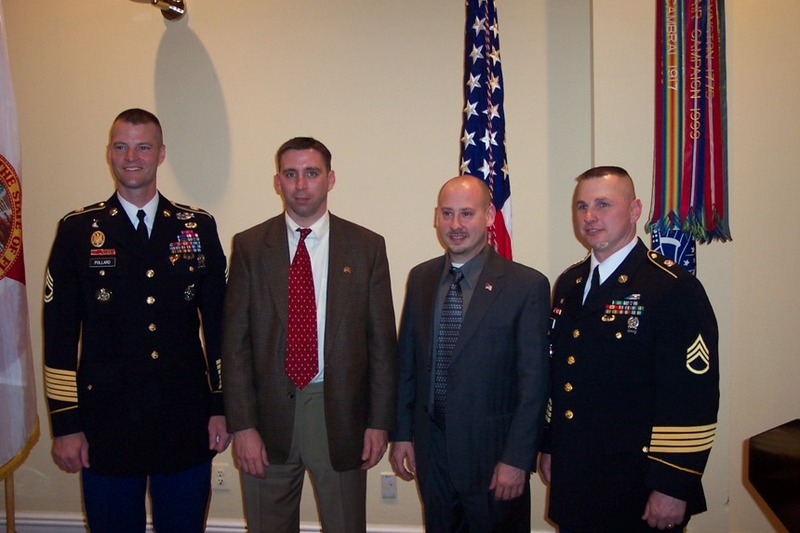 On the left if Sergeant First Class Pollard and on the right is Staff Sergeant Parker. These two soldiers flew to Birgit's home in Tampa and escorted the Smith family through every step of their journey. It's my understanding, that after the Smiths boarded their flight from Tampa to Washington, the captain of the plane read Sergeant Smith's citation on the loudspeaker, and when he was done, the whole plane erupted into applause. These soldiers carried bags, brought tissues, arranged meals, opened doors, coordinated rides, graciously posed for photos... you name it, they did it. They truely made the Smiths family's visit as worry free as one could expect given the circumstances. Sergeant Smith's ceremonies went off absolutely flawlessly and it is due in no small part to the dedication of these two men. It was an honor to meet them both. 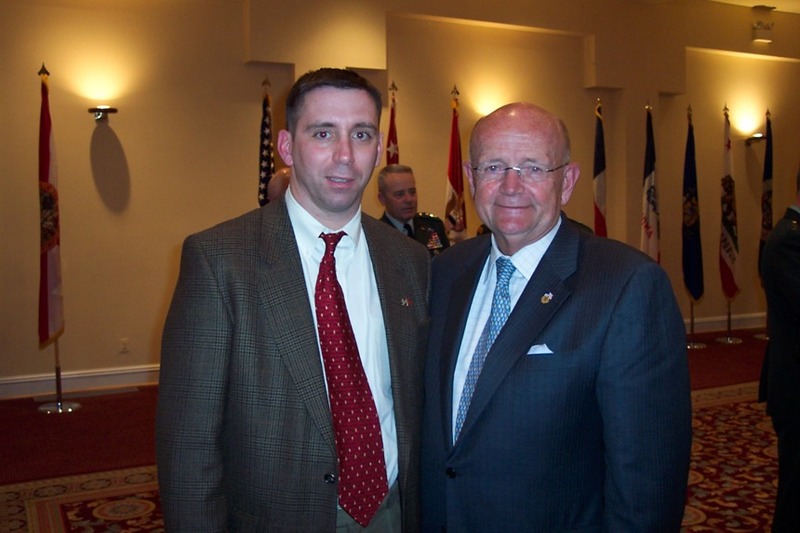 Steve with the Secretary of the Army. 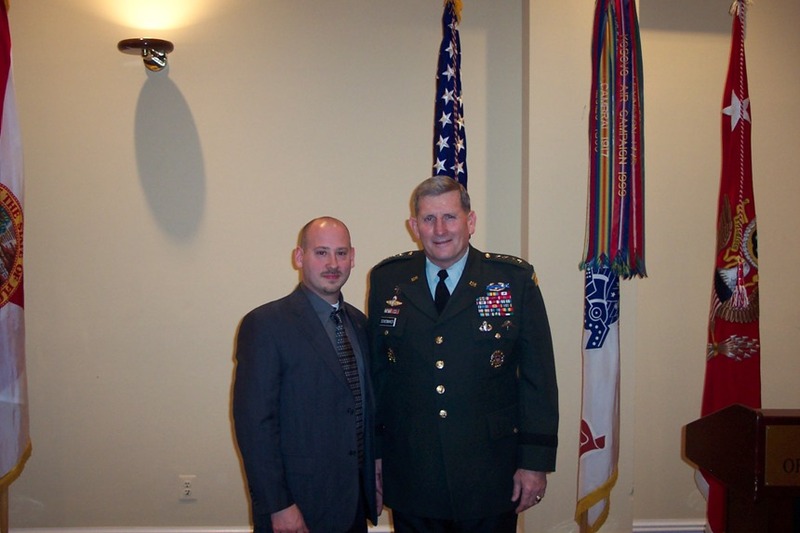 Me with the Chief of Staff of the Army, General Shoomaker. More handy tie work on my part. 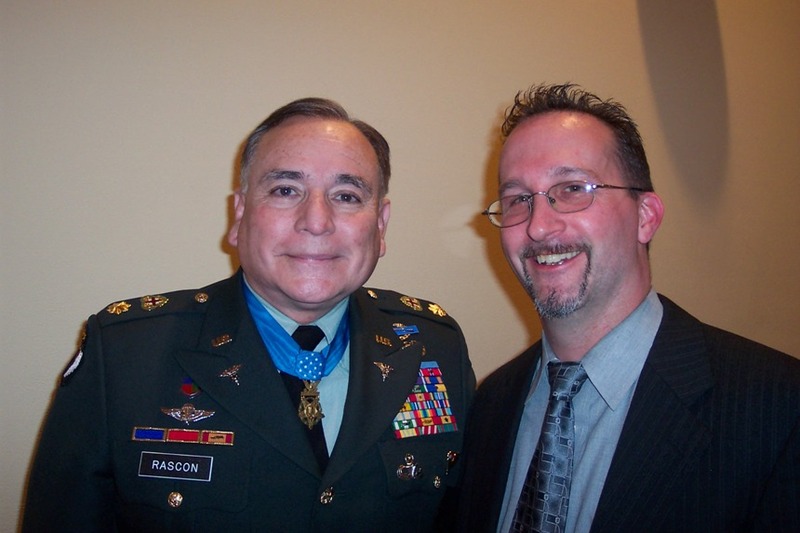 Major Rascon and a pal'o'mine Zeno. You saw the shadow of his head back at the Pentagon. 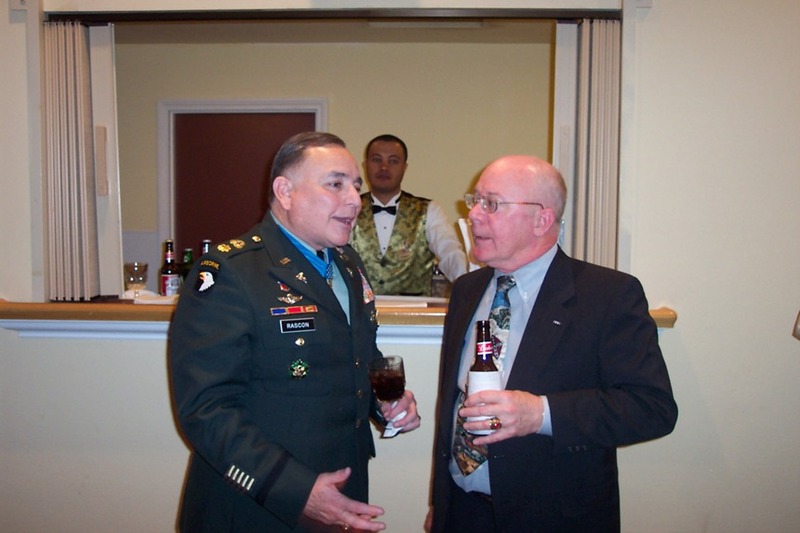 Major Rascon chatting it up with "Silver Star Bob". Bob won a Silver Star and a Purple heart in Vietnam.